Months ago, I wrote a post about albatrosses and wondered at the name Laysan. In addition to Laysan albatrosses, there are Laysan ducks, Laysan finches, and several extinct birds and insects which bear the same name. 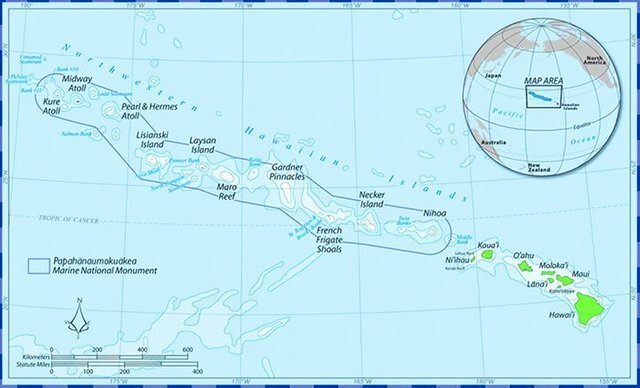 Laysan, of course, refers to Laysan Island in Hawaii’s Northwestern (Leeward) Island chain. It’s only about 1.5 miles long and one mile wide (2.4 km x 1.6 km), part of that land being covered by a salty lake in the middle of the island. Laysan is unusual because, unlike most tiny islands in the middle of the ocean, it also has fresh water. That allowed land birds to develop there as well as seabirds, without interference from any mammals or reptiles (until humans arrived). Despite being a unique place, Laysan probably will disappear this century as sea levels rise. Reading about Laysan Island led me to the story of its most famous human resident, Max Schlemmer. In the 1880s and 90s, Schlemmer developed an interest in Laysan Island and established squatters rights to it. He built a home and business there, becoming known in Hawaii as the “King of Laysan”. 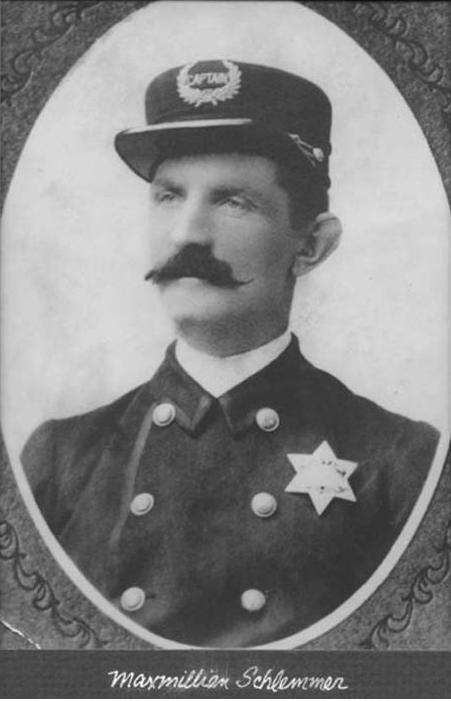 During his life, in addition to phosphate mining and bird feather businesses on Laysan, Schlemmer also worked on whaling ships, sugar plantations, as a bar owner, as a boat captain, as a motorman for the Honolulu Rapid Transit, and as a captain in the Honolulu Police force. Schlemmer was such a character that I ordered a book about him. Max Schlemmer, Hawaii’s King of Laysan Island turned out to be a family history of sorts, written by Max’s grandson, Tom Unger. Unger wrote a very compelling story of his grandfather’s life, sourced from media accounts, public records, and family documents and stories. As a boy, Unger himself spent time with an elderly Schlemmer and heard some his grandfather’s tales firsthand. From that book and my other readings, here are several amazing facts from the life of Max Schlemmer. The book contains many more. Schlemmer had been working as a crewmember on whaling ships in the Pacific. After signing on with a ship called Mount Walruston, Max and another German crewmember decided they hated their first officer. This officer was a strict dictator and the other German was making plans to murder him. Max convinced his friend that they both should leave the ship instead. While off the coast of Mexico, they slipped over the side in the night, detached a small whaleboat (rowboat) filled with equipment, and rowed it to shore. They hid out in a cove until the Mount Walruston had sailed away. Max had been to Hawaii on an earlier voyage and wanted to return there, so they waited until another whaling ship came to port, bartering the whaleboat and its equipment for a ride to the islands. 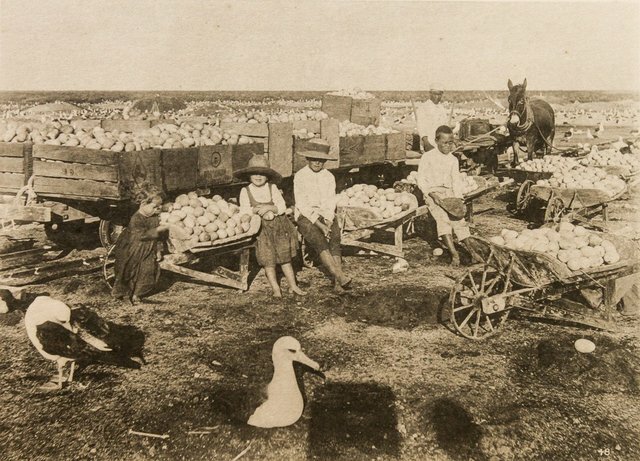 Agricultural plantations were booming on the major Hawaiian Islands and a cheap source of fertilizer was needed. Max worked for a time on a sugar plantation on the island of Kauai. The Pacific Guano & Fertilizer Company was established and Max was hired to be its superintendent on Laysan Island, which was rich with centuries’ worth of bird droppings. Because he had rights to the island, he received a small royalty from anything mined there. Max moved his family to Laysan Island, despite the fact that it was inhabited only by birds and it was a small, windy, nearly treeless island with sandstorms (not exactly a paradise). At various points, Schlemmer had an interest in selling bird feathers, though he never wanted the Laysan birds to be hunted in numbers that threatened their sustainability. He made visits to Japan to make deals for feather sales. Unfortunately, bird pirates also came to the island and killed birds in far greater numbers, at times devastating the populations. 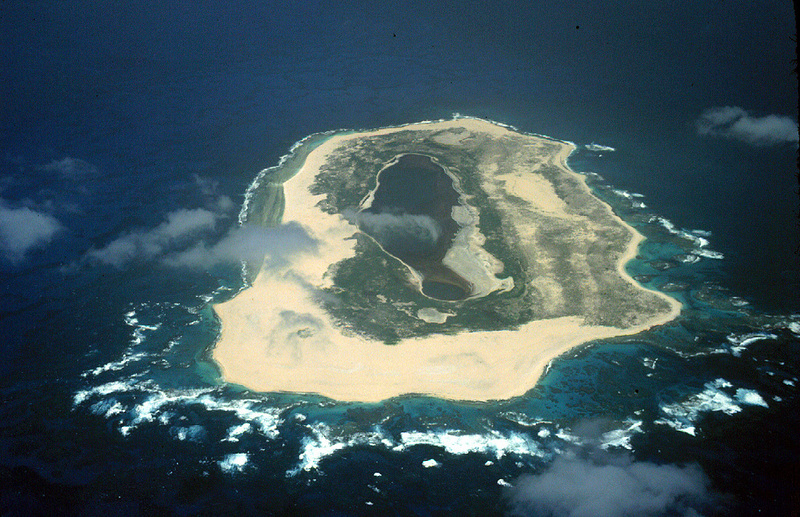 Here is a video of the island in 2012, showing the albatross and other major species. He was employed by the Kingdom of Hawaii and loyal to Queen Liliuokalani. 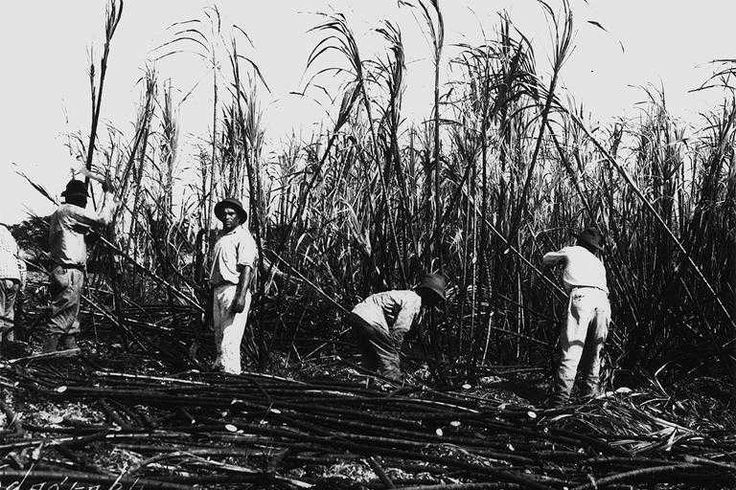 However, a group of American business owners and sugar planters formed a private militia and took control of the government that year. There was no armed conflict. The queen yielded to their show of force, under protest, to avoid any loss of life. 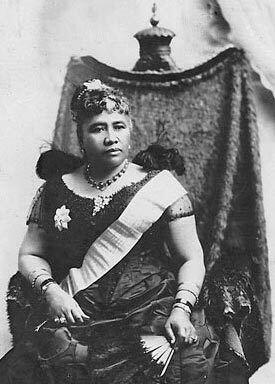 Queen Liliuokalani, the last queen of Hawaii, and the militia. With the queen deposed, the businessmen installed Sanford Dole (a judge and member of the pineapple family) as President of Hawaii. The United States annexed the islands a few years later. Schlemmer quit the police force the day after this coup. 5. Max Schlemmer married a daughter of German immigrants, who bore three children. After she died, he married her 16-year-old sister, who bore fourteen more children (17 children total). 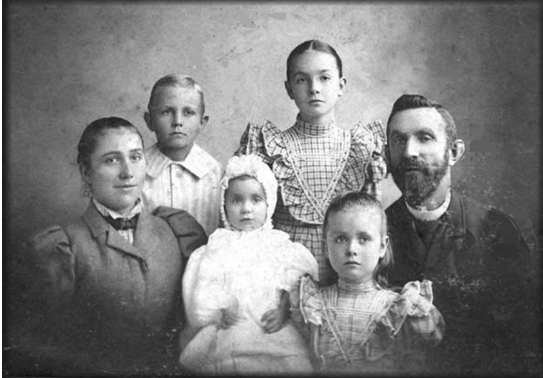 Schlemmer Family in 1898, including Max's first four children. For much of this time, they lived on tiny Laysan Island, alone except for the guano mining operation’s workers (who were mostly Japanese) and lots of birds. He kept extensive records and was never known to have taken more than the 39 birds he recorded. However, he certainly took a lot of bird eggs, which must have had an adverse impact on the population there, and he allowed some culling of birds for feathers as well. 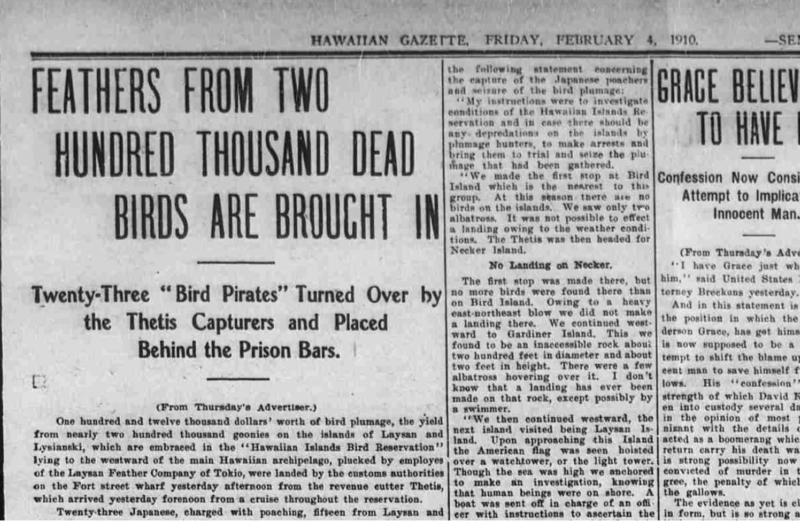 The worst bird carnage came at the hands of Japanese feather poachers and it happened during a period when Schlemmer was not on the island; he was horrified at the damage. Believing they would be a good source of meat and might enable meat canning and hide tanning industries on the small island, Max Shlemmer brought European domestic rabbits, English hares, Belgian hares, and guinea pigs to Laysan in the early 1900s, releasing “a slew of them” on the island. These creatures multiplied quickly, ate all of the native grass and other vegetation, and soon overran the island. Several bird species had depended on the vegetation and went extinct, while the wind blew away some of the sand and sandstorms became worse. There were several biological survey expeditions to Laysan during Schlemmer’s tenure there. In 1912, the U.S. Biological Survey sent a team to exterminate the rabbits. 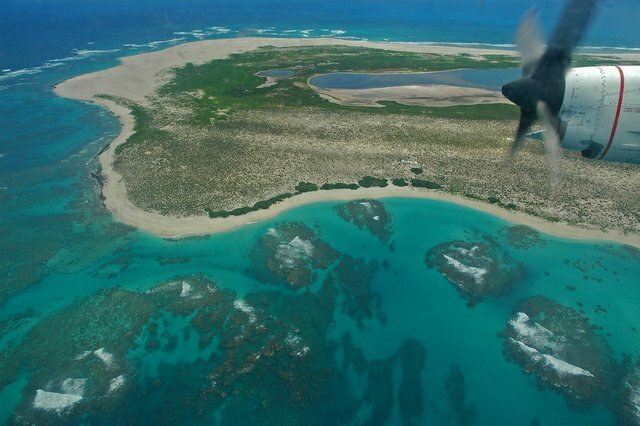 They noted that the island’s vegetation was nearly gone, resulting in the disappearance of certain species of plants, insects, and birds that had existed nowhere else in the world. The survey party killed 5,024 rabbits, but ran out of ammunition before they could exterminate them all. Only months earlier, with most guano having been mined out and that business declining, Max Schlemmer had made two deals that would help him profit from the feather business. First, he visited Japan and granted a company there exclusive rights to the guano and feathers. Second, he sought and received a commission as police constable so that he could protect the birds of the island and prevent poaching. However, both of these essentially became irrelevant as soon as the U.S. Department of Agriculture took over the island and authorized the U.S. Navy to prevent any bird poaching there in the new Bird Reservation. Soon after, Schlemmer received a letter from the Hawaiian territorial government cancelling his rights to the island. Months later, he was indicted for poaching on a bird reservation, though he ultimately won the court case. 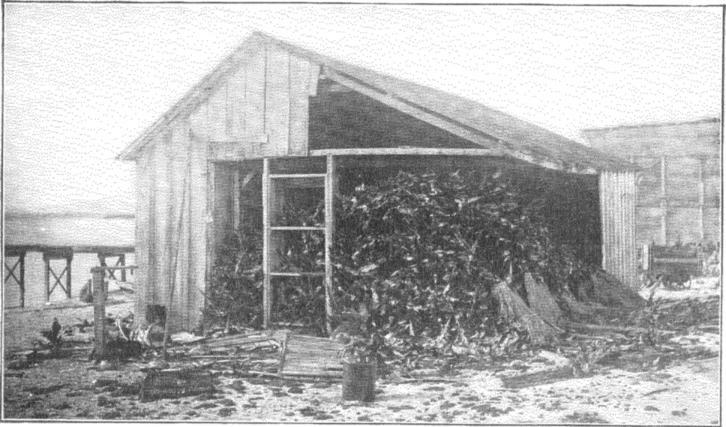 A poacher's temporary structure, filled with bird wings for feather sales. 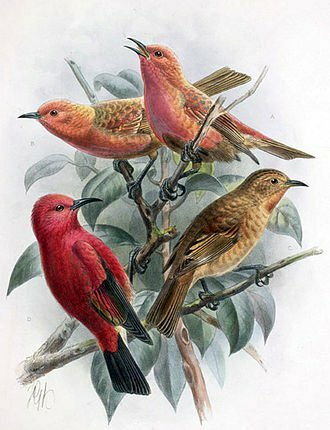 The Laysan Honeycreeper, which went extinct. As he was campaigning to be hired as a warden for Laysan, he was told his candidacy may be viewed more favorably if he was actively working “on the job” already. So he obtained a yacht and headed to Laysan, finding that poachers had devastated the bird population. While there, his yacht escaped its moorings and was found three miles out at sea; Max and his companions had to row a skiff out to it and bring it back in. Shortly thereafter, another small boat appeared. It turned out to be a group that had been shipwrecked nearby. Because Max and his companions were expecting a visit from a larger supply ship, they loaned the shipwreck survivors their yacht. On the voyage to Midway, it was promptly wrecked in a storm. And the supply ship never arrived on Laysan. Max and his companions were close to starvation when another ship happened by the island and saw their distress signal, stopping to pick them up. World War I was raging in Europe and German-Americans were viewed with suspicion. 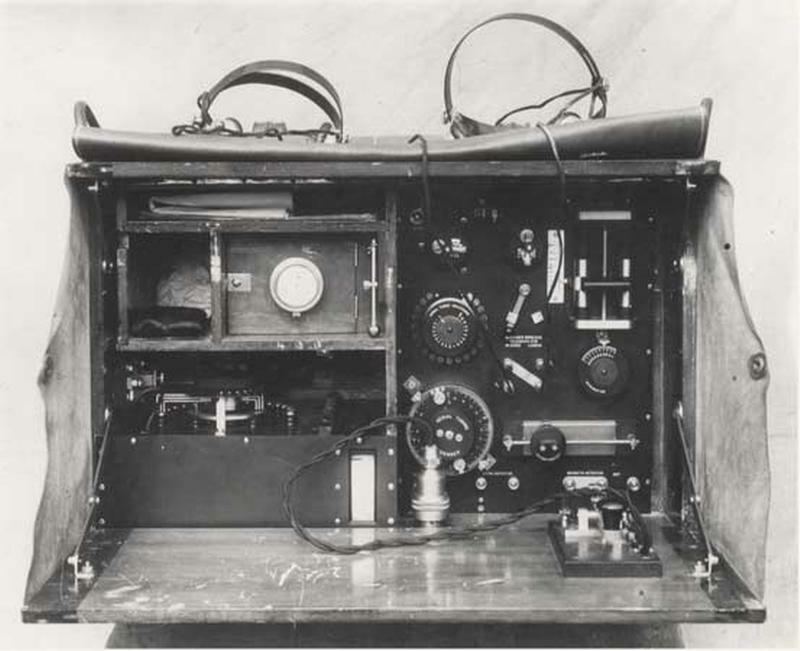 The rumor was that Max had kept a wireless radio on Laysan and communicated with the German government. Eventually, he was cleared of the spy charges, about the same time he learned that his yacht had been wrecked, but the whole saga left him broke. Afterwards, he managed to get a job working for one of his previous employers in Honolulu, Hawaii, and his family finally settled there. Max Schlemmer was a Renaissance man and an obsessive entrepreneur. His family remembered him fondly and he was said to have been a very warm and caring person. The man’s life was not easy and he certainly made his share of mistakes. His lifelong quest to establish himself on Laysan Island never really came true. Nevertheless, what a life it was. 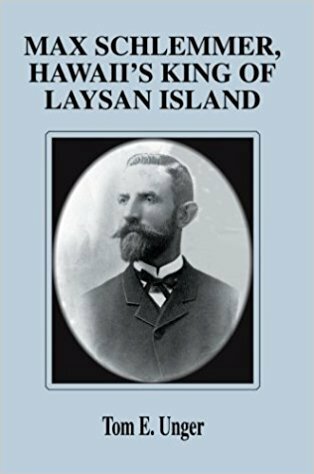 If you’re interested in reading more, and there is a lot more, I recommend the book Max Schlemmer, Hawaii’s King of Laysan Island by Tom Unger. All photos are public domain, except for the photos of Max Schlemmer and family, which come from the King of Laysan book. You got a 12.82% upvote from @postpromoter courtesy of @fproductions! Great story donkey, I always find the past history of Hawaii interesting and how many people dont know about it. I guess Schlemmer was part of the wave of outsiders who would eventually settle there. For sure. I wasn't aware that there was a German immigrant community on Kauai, but apparently they became a part of the plantation culture there like so many others. Thanks for sharing the amazing facts....I love reading history. @donkeypong - Amazing tale. The island must have been teeming with hundreds of bird species at one time. I was aware of the Layson Albatrosses but would be very interested in the other avian inhabitants of the island. As you can see from my blogs, I am passionate about wildlife and really like to spread wildlife awareness through my photographs and blogs. Mr. Schlemmer seems to have been a resourceful gentleman but I wish he had worked more to avoid extinction of bird species as he carried on his hat feathers business. Thanks for this interesting account of Laysan island history. Upvoted full. I am really impressed by the research you put in for your blogs. I always look up to them for guidance. I request you to take a look at my latest blogs on wildlife and provide your comments. Thanks again for all your support so far. Amazing facts about history.....I loved and enjoyed reading it. You have some great animal posts also! Thank you so much for your appreciation, Means a lot. Thank you for summering up these facts! When I saw his picture I thought I know something about this guy but i couldn't figure what it was. Then I got it! He brought the rabbits to the island! But now I finally have some other facts about his life which was a quite interesting read! Yes, that was the first thing I learned about him also. It turned out there was more worth learning. I liked your historical blog post. From this post we learned a lot. I know about Laysan Island, but after seeing your post I think there is more to know. I learned a lot from your blog that I did not know. Never thought joining this community would be that productive and nutritious, and the -unkwon- or not so well-known History of Hawaii islands, he was just a Character . This is my first nutritious post. Thanks for your response. Glad you liked it. Excellent historical topic indeed here @donkeypong. Awesome story to read. I have read Max Schlemmer's adventure books before. It has more important contest and suitable for project preparation. Laysan island is looking beauty with animals. Really? I did not know he had any books. Interesting. How do you think they went over in prison? I was amazed to read that they were literally worth as much as gold at that time. Wow! This was an interesting read. Max Schlemmer was indeed an interesting character. I saw a man who would vigorously pursue his dreams, fighting obstacles that came his way, consistently fighting for a cause. Thank you @donkeypong for sharing about the king of Laysan Island. That would be great story to me @donkeypong. I really like to read and learn such a natural story like as islands, beaches, forests. wild lifers etc... I know Hawaii island very attractive beach for tourists. But Max Schlemmer better wrote history of part of hawaii of Laysan Island. I Observation carefully past history there, Lot of extinct birds and insects had this island. Everything stunning me but 17 children...Cannot agree and disappointing me. I am a history lover and ever since my history reading i never came across such a short but detailed and interesting piece of history. THIS is a really great post and well researched! Thanks. I almost tagged it with # travel, but I've never been there myself (aside from some larger Hawaiian islands). AAaaah... I knew the story about the rabbits being introduced on the Island... didn't know about most of the rest. The part about " Max Schlemmer acquired squatter’s rights to Laysan Island in the 1880s, despite never having visited it" makes me think he was a smart guy and not the inconsequential man the rabbit story made me believe. He had a complex role there. Though his actions in the long run may have done more harm than good for the island, he recognized the importance of sustainability there. I'm Portuguese, and here we use that story of the Rabbit Island a lot as a cautionary tale, so the next time I hear it I am going to go all "I'm smarter than you" and recite the headers of this post from memory. Cheers man, see you around. I clicked on this out of curiosity, and was not disappointed! Wow! What a story and what a guy! I certainly learned some new things today, thank you very much for sharing! Haha. I have no knowledge of that one, but he might need a hula skirt. Thanks @donkeypong... I just learnt something today. I never knew who he was not until now. Thanks for the post really helped a lot. One of the fun things about writing is that I learn a lot also from researching the subjects. Thanks for the comment and glad you enjoyed the post. I was born and raised on Maui and yet have never even heard of Laysan island very interesting but incredibly sad. Even in my life time I remember seeing birds from my childhood that are no longer around. If the men of his time were not so incredibly destructive and insensitive we maybe those lovely birds would still be here. Oh ya and donkey pong? what a funny name. You made ma laugh and educated me on a Sunday-my day off. Way to go. Max Schlemmer was a Renaissance man and an obsessive entrepreneur. This is a great story. One of many. My country, México, has its own share of men like him. Men with a vision, a passion and amazing stories. Several commercial projects actually created big cities that still exist today. Very interesting tale @donkeypong. The king of Laysan sure did have an interesting life. This post piqued my curiousity that I looked up the book on Amazon and have placed an order for a copy myself. Thank you! Despite this modern era where communication means of transport facilitate our lives, feats like Max Schlemmer's are admirable at that time there were no resources that we have, the birds that are in the video that has a red bag in the chest there are some similar in the Galápagos Islands Ecuador are called Frigate and the inflate in the period of reproduction. That was one awesome story, it was almost like being a child again and reading about a Jules Verne character. I was kind of sad to read about the ecological disaster the human brought to the island but things like this happened a lot back then. I hope you will write more articles like this. Cheers man! Thanks. Glad you enjoyed it. Yes, there were some larger than life characters back then. I hadn't made the Jules Verne connection, but I like that. In the sense that Jules Verne created these characters who had awesome adventures in remote areas, like in the books The Mysterious Island and Two Years' Vacation which were one of my favorite books as a child. In both books the adventure takes place on an island. Reading your article I felt the same like when I was a child reading those books. It's a very special feeling. 2 is enough, I agree! I do not really know what to think about while reading al these amazing things. Just feel trapped in this fascinating world we were born. Amazing history. I look forward to reading more about Hawaiian history. Thanks for sharing this interesting information with us. Yes, they were different times. Also these days, no one would think to reap the earth of as many resources as these people did. Max Schlemmer should rightfully bear that title, King of Laysan Island for doing so much to protect Laysan Island. He was really passionate about it, and trying to protect those birds. It's so painful they have gone extinct, they are absolutely gorgeous. Thank you sir for sharing this interesting story of the King of Laysan Island. Great story! I would be satisfaid if I could have such a life on an island like Laysan. Hey @donkeypong for this interesting historical stuff. Thanks for the INFO. It's great post @donkeypong ! @donkeypong i admired your works. i love your article..thanks for sharing..have a nice day..its a lot of history about laysa-island..very informative post..i like it a lot..keep up the good work..followed and upvoted. The story of Max Schlemmer is effective, convincing true to life. Max is a "renaissance" man who survives the threat of whaling in the freezing North Pacific, chips away at different Hawaiian sugar ranches, skippers cruising vessels, pioneers the guano business on Laysan Island, goes up against the obligations of mid-spouse, is a Honolulu Police chief, and a motorman with Honolulu Fast Travel Co., and dependably a man gave to family and nation. Max is likewise a business person. In his initial a long time in Hawaii, he picked up "squatter's rights" to Laysan Island. Later he built up his home on this minor, removed, and secluded island. Despite the fact that numerous business wanders fizzled, he longed for a "kingdom" on Laysan Island. Maybe he imagined and conspired additionally about the immense wealth to be picked up in the winged creature plumage exchange. Max Schlemmer, Hawaii's Ruler of Laysan Island happens amid an intriguing time of Hawaiian history. Max is associated with revolting which prompts the topple of the government and to Hawaii turning into the Domain of Hawaii. Max is a steady gadfly to the neighborhood experts; his activities frequently lead them into unknown waters and resonates at last in Washington D.C.
Did I just saw kivi - the most useless animal in the world? Can u do 10 facts about Pablo Escobar? Free upvote service for all . Just follow me n i will vote and resteem your post. you have describe amazing facts and history of Hawaii laysan-Iceland. very interested. Historical great, i have learnt a lot from reading this. I love reading anything that has to do with history. Really enjoyed reading this. Excellent post!!! Really enjoyed reading this...thanks so much for the find. @donkeypong am looking to lease some steem and other platforms seems to be attending to people that wants larger steem power. Can I lease some from you?or do you know anyone that will like to lease? Mine is in use for community building and curation around the world. I actually leased some more myself yesterday, but it does not become available very often. Keep looking and asking. Once we get the SMTs, I think community funding will be easier. Moving next door to this in a few weeks. Looks about as beautiful as Maui! Very interesting article thanks for posting! I'm impressed by the sheer hard work you put into this post. And I see you're writing quite a bit of post on topics revolving animals. 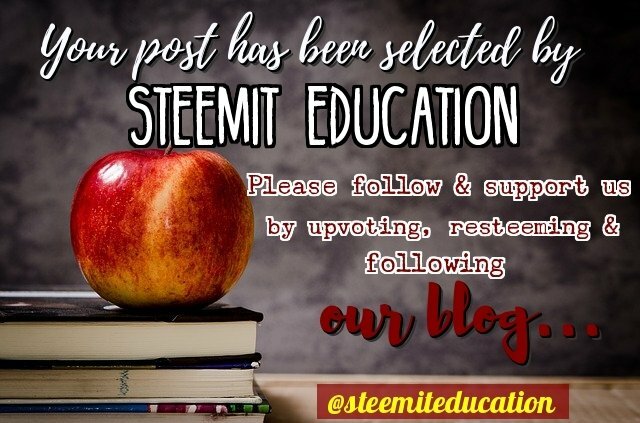 I was reaching out to animal lovers who would like to help upvote and resteem this post (https://steemit.com/animals/@deborism/steemit-charity) to fundraise for this christmas charity. No obligations but I hope it means a lot to the person and family in need. Thank you so much in advance! Its like documentaries good work my friend I really like it ! Wow. Amazing post. 👍 I learned something new today. Thats very interesting. I enjoyed reading your post. Thank you for sharing such a great content!